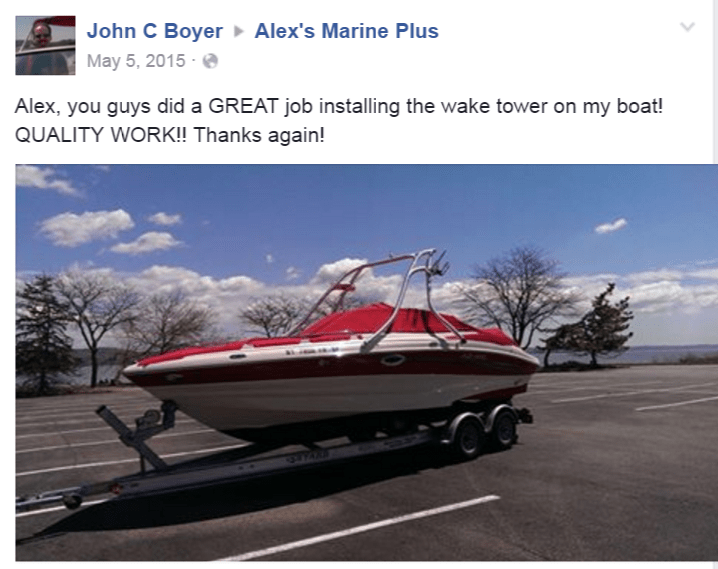 I wanted to share with you some amazing experiences I’ve had with one of your advertisers which is Alex’s Marine Plus located in New Windsor, NY. 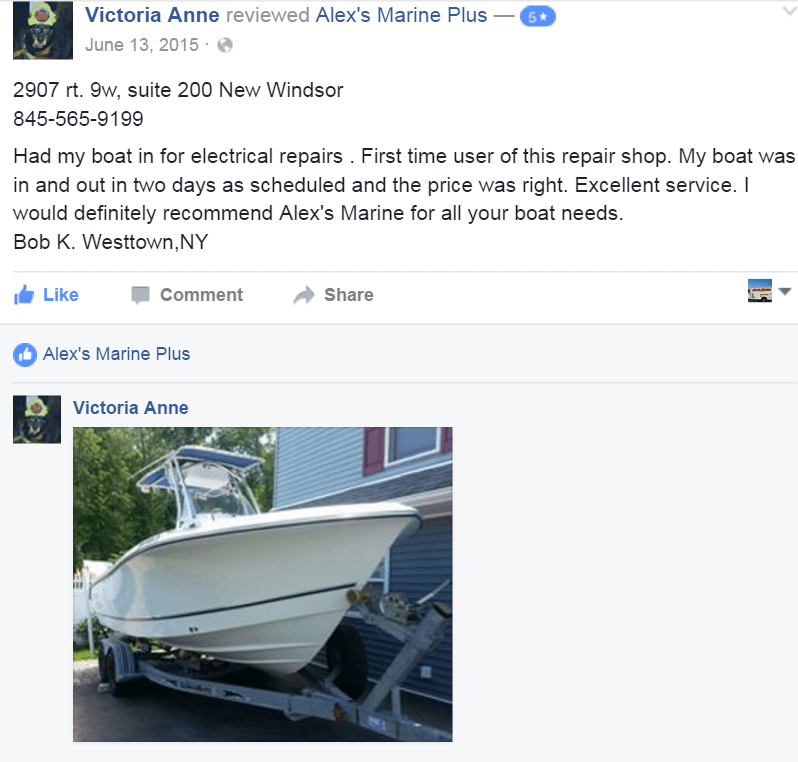 My name is Lex Filipowski and I keep my boat docked at The Riverfront Marina in Newburgh, NY and I spend a lot of time on it. 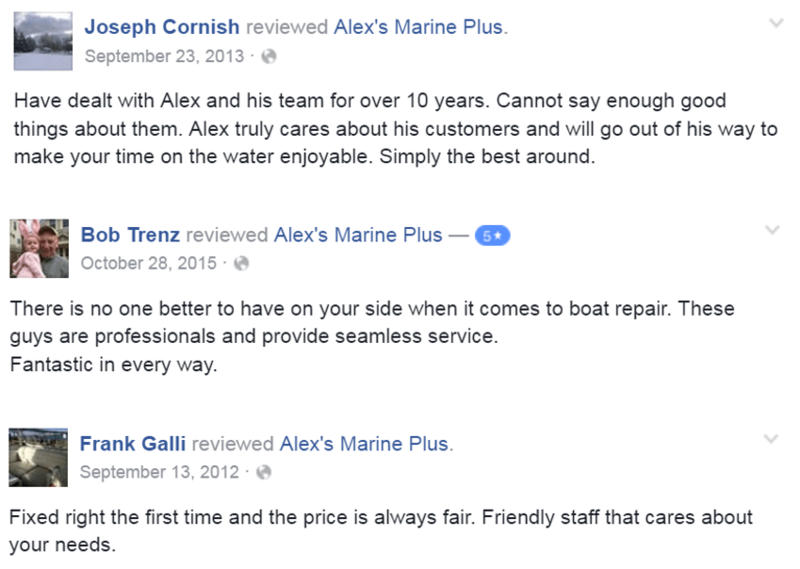 Over the last 2 years, there have been a number of times that I’ve needed to call a mechanic so I called Alex who is the owner of Alex’s Marine Plus. The service that I’ve received from him has been exceptional! 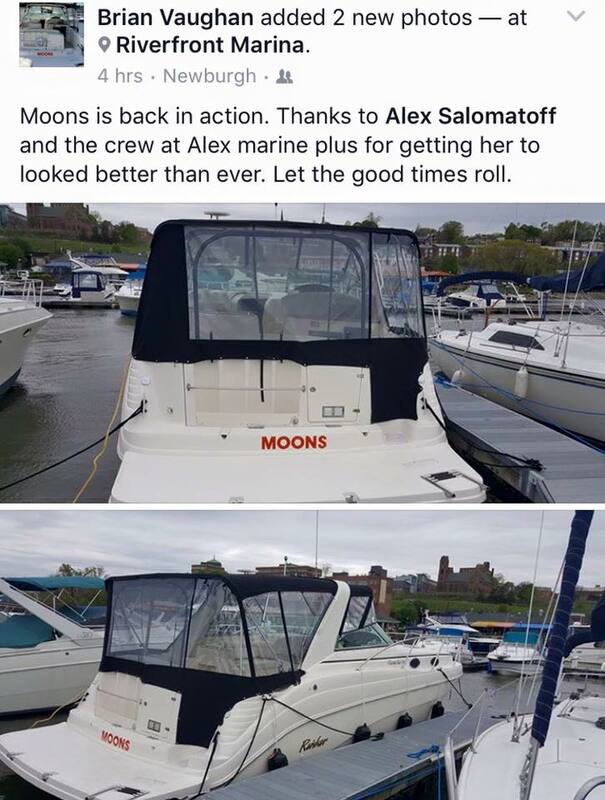 His prices are reasonable, I’m never charged for something I don’t need and Alex always completes the work on my boat in a very timely and professional manner. I’ve found Alex to be a man of the highest integrity and recommend his business to everyone reading this. Last year, while I was piloting my 20 foot Sea-Doo jet boat from Poughkeepsie to Newburgh, I unknowingly sucked up some weeds into the intake. My boat overheated, and stopped running in the middle of the river. ( Foolishly, Sea-Doo did not put a temperature gauge on the jet-boat.) Smoke was billowing out from every opening in the boat and the boat started taking on water in the engine area. I called Alex, told him of my situation on a Friday evening and he came right over, prevented my boat from sinking and trailed my boat back to his shop. I was so upset! I thought I had ruined the engine and that I would have to replace the entire engine. Alex called me the next morning and says, “Lex, your boats all done.” I was incredulous! How could this be? I thought the engine was shot! He told me that a number of hoses melted but there was absolutely no damage to the engine. Alex trailed my boat from his shop to the Newburgh ramp and we put it back into the water and my boat ran perfectly! Another time last summer, I had another problem with my boat and was not able to take it out. Alex said he could come the next day to my boat while it was docked at The Riverfront Marina and take a look at it. I was absolutely blown away! How many businesses of any type in our area give their customers this type of exceptional customer service? He knows how much I love spending time on the river and and he created time to come repair my boat then and there. What a fantastic surprise! I thank you very much Alex and your team for all the great work you do with all of your customers and wish you and your team continued success!